Newly constructed Shores Pointe is a quaint community of only 31 homes in a picturesque Jupiter setting. 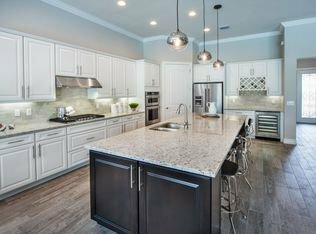 Built by Pulte Homes between 2015 and 2016, Shores Pointe is located along Central Boulevard, North of Indiantown Road and offers 5 different floor plans that range from 2,500 to 4,300 square feet of living space and feature two to seven bedrooms. Shores Pointe is centrally located close to dining, shopping, entertainment and beaches. The Florida Turnpike and I-95 are close by, making it an easy drive to the airport, Gardens Mall, Palm Beach Outlets, The Kravis Center and many other attractions. Zoned for A rated schools.